I'm frequently asked by new and prospective Deauville owners what is the first, most important modification, that they should make to improve their enjoyment of their bike. My answer is always, fit quality tyres. 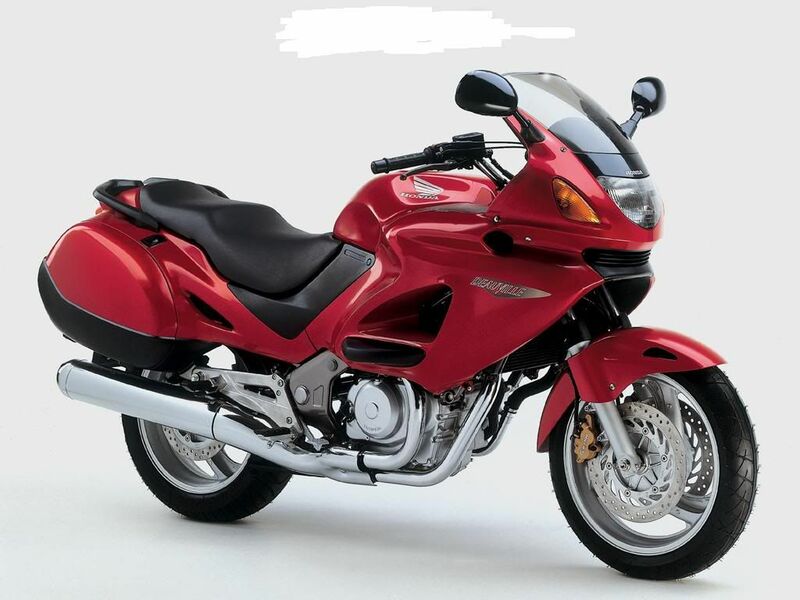 When it was first released in 1998 Honda fitted Michelin Macadams - goodness only knows why? I suppose it was their reputation for longevity, but GRIP certainly wasn't deemed a priority, and it was probably these tyres that earned the Deauville the "Dullsville" tag. My particular bike had done only 3,250 miles when I purchased it but I junked those horrible tyres just 250 miles later. 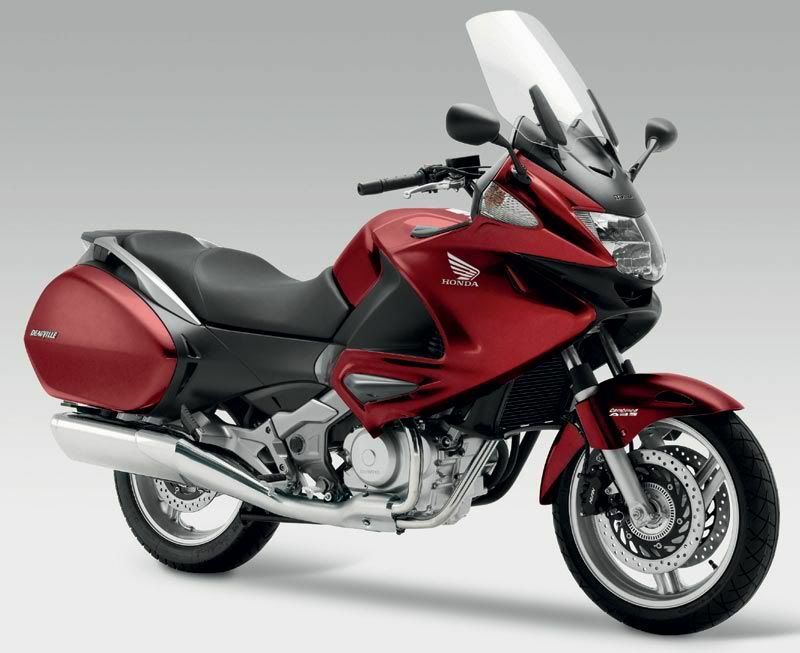 From 2002 Honda replaced the Macadams as OEM fitment, fitting Bridgestones BT-020 for the UK market and either Continental Road Attacks or Metzeler RoadTecs on mainland Europe. The difference is that these are all "Sports Tourer" tyres which offer both excellent grip and long life. Today there is a bewildingly wide range of "Sports Tourer" tyres that can be fitted to the Deauville, and this is my guide to what is available here and now. The Prices quoted are the "official" manufacturers' prices as at 1st August 2010, but the "street price" is typically around 12.5% less (i.e an "official" price of £238 becomes a "street price" of £208 on a ride-in ride-out basis). Avon say:- Successor to the award-winning Storm ST range, the Storm 2 Ultra is claimed to offer 12% more mileage than it's predecessor, plus improved grip in wet or dry. It is also offers improved traction and better handling and comfort over bumps. I say:- The Storm ST was a development from the Azaro, and the Storm 2 Ultra is the next generation. The tread pattern remains unchanged from the Azaro and is none the worse for it. Avons are my personal favourite - and a pair of Storm 2 Ultras have been recently fitted. They have a lot to live up to as the Storm ST tyres did 17,500/10,000 miles (Front/Rear). However, I have to report that Avon appear to have initially had some "production issues" with reports of tyres cracking and tearing. While these seem to have been resolved by the end of 2010, the reports from Deauville owners are that Storm 2 Ultra wear rates aren't as good as those reported for the Storm ST. I have to say that mine are holding up well and I'll report back further when I've more data/news. Bridgestone say:- Now 3 years old, the BT-021 replaced the BT-020. Claimed to provide optimal stability and shock absorption through use of Bridgestone's MSB (Mono Spiral Belt) and HTSPC (High Tensile SUper Penetrated Cord). I say:- The BT-020 was a very good tyre and very popular with Deauville owners, and the BT-021 improved on an already good tyre. 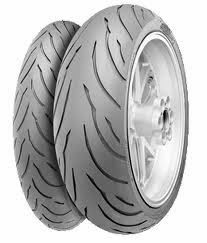 It is a very neutral handling tyre that is a favourite with those that do a lot of touring with a pillion, so expect 12,000-14,000/8,000-10,000 miles (Front/Rear). 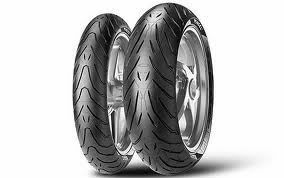 Bridgestone say:- The advanced new tyre significantly upgrades the performance of the BT-021 it replaces, both in the key touring areas of mileage and wet performance, as well as by meeting the handling expectations of the most demanding sport riders. The tyre provides superb wear life and wet cornering thanks to the re-designed angle-groove pattern and Silica Rich Ex compound with “RC polymer”. Both the front and rear tyres are constructed with Bridgestone’s proven Mono Spiral Belt (MSB) technology, providing top-level grip, shock absorption and straight-line stability at speed. 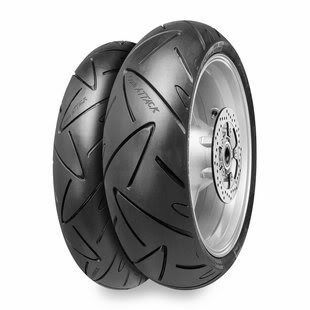 With a 3 Layer Compound (3LC) on the rear tyre, the shoulder compound gives reassuring grip through corners while the centre compound with its wide contact area adds stability and smoothness when cruising. 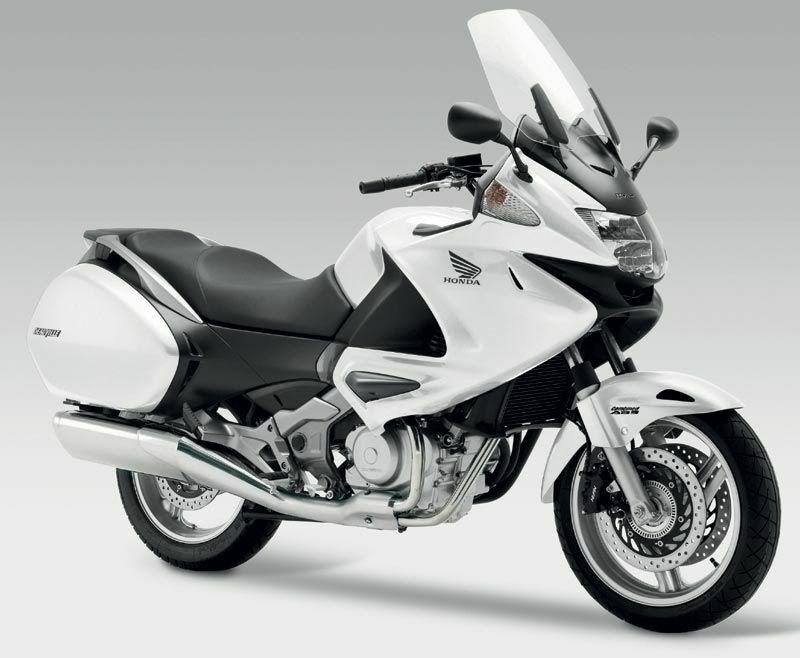 The result is a confident ride, with rich feedback and a secure contact feel in all conditions. 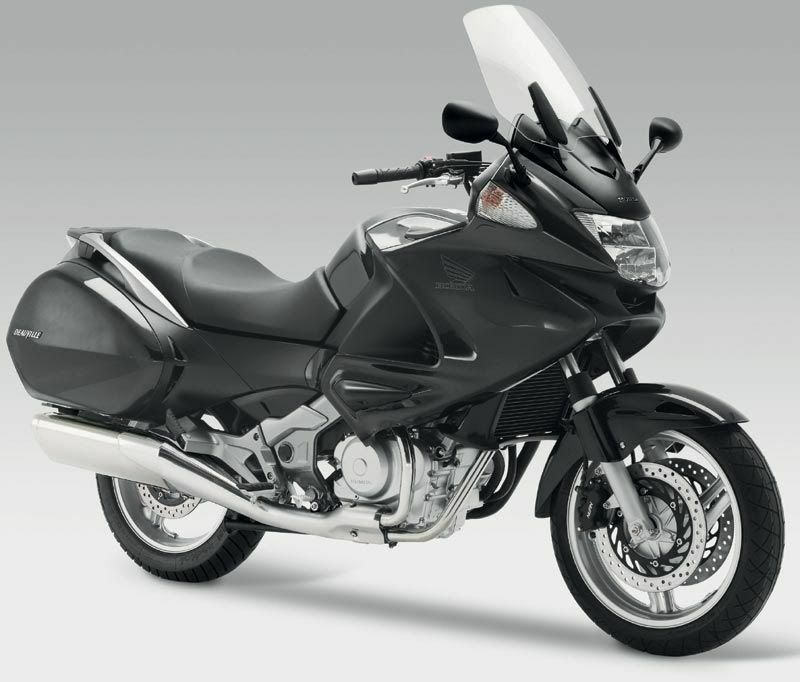 I say:- Launched in February 2010, the BT-023 was supposed to replace the BT-021, a tyre that I still believe to be a good performer in the sport tourer sector but which had fallen behind the Avon Storm 2 Ultra. Originally I said "Time will tell if the BT-023 is the answer". Well maybe it is and maybe it isn't because after withdrawing the BT-021 from production, Bridgestone re-introduced it as a "budget tyre" in a limited range of sizes and having a devoted following, it continues to sell. In the meantime the BT-023 has been reported as delivering improvements all round except crucially in the wear department and the expectation of 15,000/10,000 miles (Front/Rear) hasn't been met with Deauville owners reporting nearer to 11,500/8,000 miles (Front/Rear) and one rider reporting having trashed a rear in a little over 5,000 miles of solo riding. Continental say:- Features optimised Multiple Curvature Design (MCD) to give light, responsive steering and handling and puts 12% more rubber on the road than any competitors' tyre. 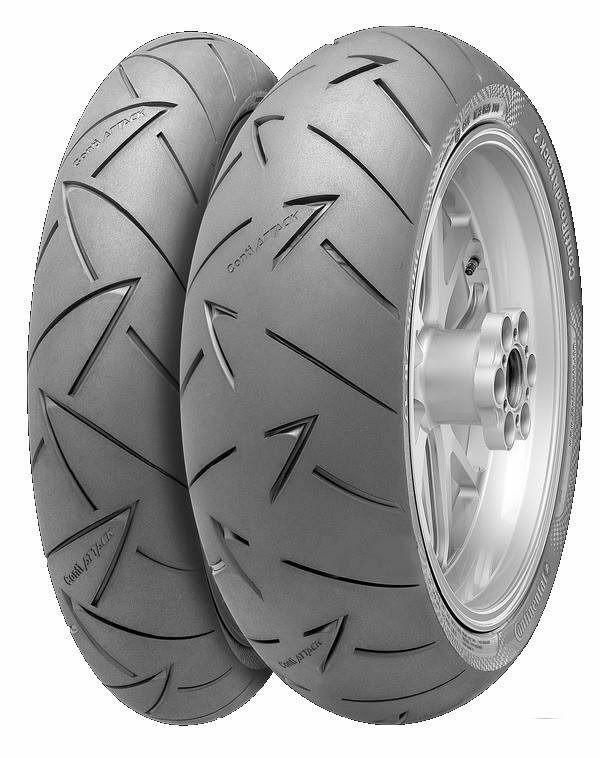 It's sticky compound with 7mm deep tread gives supersport performance with sports-touring tread life. I say:- The reports from UK Deauville owners isn't favourable and their experiences are of poor wet weather grip and high wear rates. Unuaually the front and rear wear rates are very similar, expect 9,000/8,000 miles (Front/Rear). Continental say:- New for 2010, the Conti Road Attack 2 gives significantly more grip on wet and dry roads than it's predecessor, plus better handling characteristics and longer mileage. The Continental Traction Skin Technology means running-in time is dramatically reduced and it's the first tyre to offer complete riding safety from the moment it's fitted. I say:- It seems like the reports from UK Deauville owners on the predecessor were not far from the mark, so let's hope this is a better tyre as Continental claim. 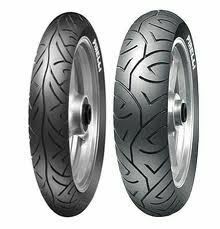 These are the tyres that Round The World rider Nick Sanders used on his Yamaha R1 using only 3 sets in his latest RTW ride, so they do have some "cred", but Otherwise, too new for me to comment further. Continental say:- The "World's first premium entry level sports touring radial tyre", the Conti Motion is built for year round use and is claimed to to provide great value for money as it offers a high service life, yet will cost less than other sports touring tyres. The longer mileage is achieved by alterations to the compound and tread pattern. I say:- No reports from UK Deauville owners so no informed comment from me, however, I believe that it is a popular choice on mainland Europe. Dunlop say:- Launched 2 years ago, the RoadSmart is available in a wide variety of fitments from roadster and naked to GT and supersport machines. It offers excellent straight-line stability, plus superb handling on the track, road, and in wet conditions - the best combination of mileage, grip, handling and stability. I say:- It's predecessor, the Dunlop D208, was popular with some UK Deauville owners with excellent grip but wear rates were reported as quite high at 12,000/8,000 (Front/Rear). 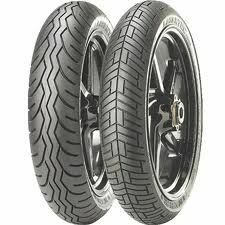 The reports from the UK Deauville forum is that owners are not impressed with the RoadSmart and it seems that in an attempt to improve wear rates Dunlop have sacrificed grip and feedback from the tyre to the rider, with owners saying that the front end feels "remote" and that they have less confidence in them as a wet weather tyre. I just wonder if it's just not a good choice for the Deauville as I'm aware of riders of other (lighter) machines that are happy with the Roadsmarts. 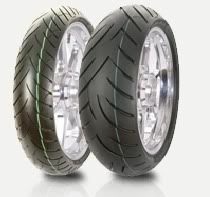 Maxxis say:- The distinctive profile and tread pattern ensures responsive handling and stability. 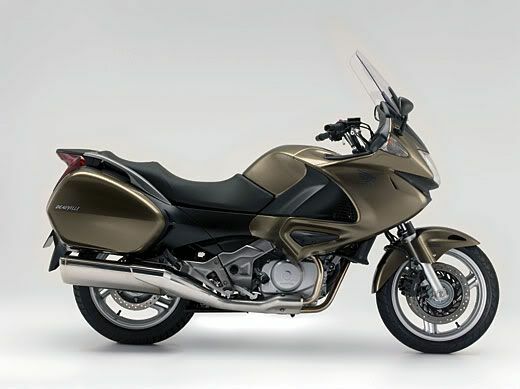 Suitable for sports bikes, sport tourers and big nakeds. I say:- Deauville owners working to a tight budget have reported excellent grip and handling characteristics but also reported very high wear rates 8,000/6,000 (Front/Rear). Fortunately, the street price reflects more than a 12% discount on the official price. On a cost per mile basis it works out the same as the Avon/Bridgestone class leaders. 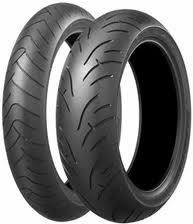 Metzeler say:- The latest generation sports-touring tyre, offering improved wet performance. I say:- This tyre was only released in June 2010 and when I originally wrote this up it was too new for informed comment from me. After reading the press releases and road testers' reports it appears to have outstanding wet weather performance and good life expectancy at circa 10,000 miles (anticipated). I've not heard/seen any reports from Deauville owners so I still can't comment further at the moment. 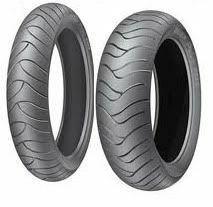 Metzeler say:- Uses the newest compound technology and a classic tread pattern which offers excellent mileage and outstanding grip. I say:- Popular with Deauville owners on mainland Europe but wear rates are nothing special, expect 9,000/8,000 miles (Front/Rear). 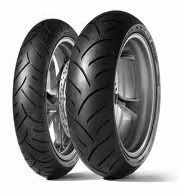 Michelin say:- Single compound tyre for sports tourers, offering exceptional value and impressive tread life. I say:- Popular with UK Deauville owners which lives up to Michelin's claims, expect 12,000/9,000 miles (Front/Rear) although some complain that there's little feeling or feedback from tyre to rider. A predictable and cost effective tyre but "old technology" compared with the competition so make sure you get a discount and don't pay the "official" price. 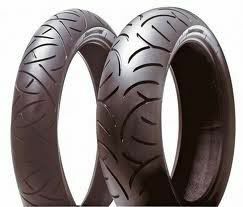 Michelin say:- Dual-compound rubber offers unbeatable grip in the wet and lasts longer than it's competitors. Wide range of fitments ensures it fits nearly all sports tourers. I say:- Completely different construction and compounds to those used in the build of the old Macadams so should be a great improvement but most UK Deauville owners will be put off by the higher cost and the street price is closer to the official price with fewer discounts available. Wear rates should be on a par with Bridgestone BT-021/023 & Avon Storm 2 Ultra. I say:- Gaining popularity with UK Deauville owners this is another tyre which lives up to Michelin's claims, one of which is 20% longer life than the MPR3 and a similar reduction in breaking distance. If that's the case the expect at least 12,000/9,000 miles (Front/Rear). Some reports state that initially (when cold) these tyres feel hard or stiff, but they are quick to warm up and have a wide operating temperature range. I've yet to find any negative comments so if they are within your budget and you need a genuine all purpose road tyre then I suggest you give them a try. Pirelli say:- World "Duration record" tyre which set several new endurance records during it's launch in 2008. Also features an innovative tread pattern design - depending on riding style, tread pattern changes from an angel to a devil. I say:- No reports from UK Deauville owners, so no comment from me. Considering it has been around a couple of years it's lack of up-take has to be down to the high "official" price (compared to the more popular options). Pirelli say:- now 10 years old, this conventional, single compound, sports-touring tyre provides excellent dry and wet grip without compromising mileage. I say:- Another predictable, cost effective, "old technology" tyre when compared with the competition and wear rates are nothing special, expect 10,000/7,500 miles (Front/Rear). 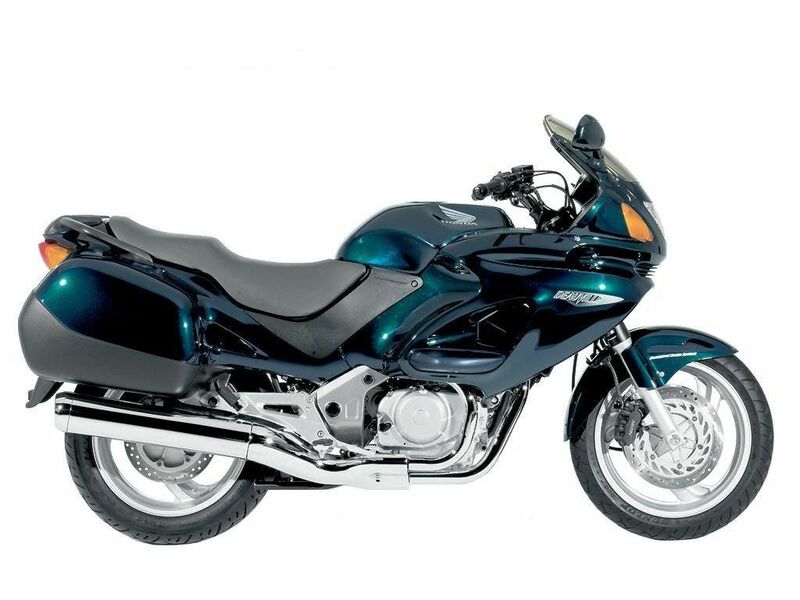 Note: Metzeler is a German motorcycle tire company that was founded in 1863. Metzeler originally produced many different products, including a variety of rubber and plastic products. Metzeler then expanded into the booming aviation industry in 1890, and then into automotive andmotorcycle tires in 1892. The Metzeler factory was destroyed in WWII, but then rebuilt after the war. 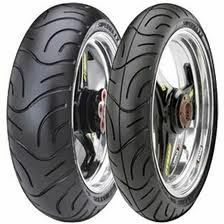 Metzler motorcycle tires have since become one of the world's favorite brands of motorcycle tires. Metzeler was eventually acquired by Pirelli Tires in 1986. 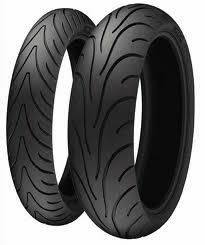 Pirelli and Metzeler racing tyres are both being manufactured by Pirelli. All tyres are produced in one factory located in Breuberg, Germany and distributed to Complog via the extensive Burton-on-Trent facility. Pirelli’s patented zero degree steel construction is used throughout the range. The renowned consistency of the tyre output may be attributed to the fact that all Pirelli/Metzeler tyres are mounted and checked by laser beam for complete accuracy before distribution. Remember, chosing a tyre is a "personal" thing that is often based on past experiences, likes & dislikes (I personally don't use Michelin products after some bad experiences relating to a "lack of grip") but that's just me and I know a lot of folks happy with Michelin tyres (even Macadams). Make your choice based on what you want out of a tyre. Also remember that most places will fit tyres cheaper if you take the wheels off the bike - not always convenient - and that they should fit a new valve stem and valve, and they will charge to dispose of your old rubber (an environmental requirement in law) typically £1.30 per tyre. That's my round-up of the main Sports-Touring tyres on the UK market Summer 2010 (updated April 2011). In compiling this page I pulled in information from various web pages and a printed review by Motor Cycle News (MCN). Wear rates and feedback came from the UK Deauville forum at www.deauvilleuk.org. If you have any experiences and/or feedback that I can use to update this page I'd be more than happy to receive it - email address is on the left.